U21 Championship. 8th round. September 17, 2016. Poltava. Ltava stadium. Att: 150. 16 oC. Since the beginning of the league season, Shakhtar have scored 16 points and rank second in the table, remaining the most prolific team of the season. Vorskla with 10 points sit in the 6th spot in the U21 league. This said, Poltava claimed all three of their victories in the home games. 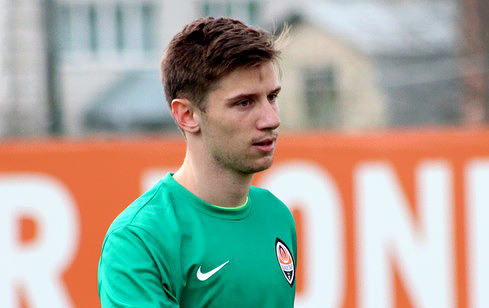 The club newcomer and central defender Oleksandr Masalov debuted in the starting line-up. Besides, the coaching staff managed to engage the Donetsk first team players: Vyacheslav Tankovskyi, Oleksandr Zubkov and Andrii Boriachuk. From the opening minutes, the charges of Valeriy Kryventsov imposed their game on the opponents, and despite the well-organised defence of Vorskla, they quickly took the lead. Oleksandr Pikhalyonok cut off the opposition defenders with a fine cross, and Andrii Boriarchuk confidently beat the goalkeeper, rolling the ball into the far corner – 1-0. Shakhtar did not ease the pressure, continuing to fully control the situation on the field and hardly allowing the opponents to cross the halfway line. The Pitmen quickly changed the direction of their attacks, but it was not easy to shatter the tight defence of the Poltava team. Just shortly before the break, a blistering attack by the Pitmen was successful. Oleksandr Zubkov from his half of the pitch fed Kiryukhantsev , with Igor racing down the right wing and crossing it to the edge of the goal area and Mykyta Adamenko slotting it home vs Poltava from there. By the way, the Shakhtar midfielder extended his scoring run, putting his name on the scoresheet in the seventh game in a row. To the hosts’ credit, they did not lose heart in the second half and started playing much more actively, giving more work to Shakhtar’s defenders and goalkeeper. The major threat came from Vorskla’s set pieces, with Yevhen Hrytsenko having to come to the team’s rescue a few times. At the same time, the Donetsk side, after winning more open spaces, regularly orchestrated some dangerous counterattacks. In one of them, Zinkevych put Tankovskyi through on the ball, with Vyacheslav beating the goalkeeper, still being denied by a defender. Zinkevych, Adamenko and Boriachuk just wasted their chances. However, in the 85th minute, the charges of Valeriy Kryventsov still managed to give the score a more lopsided look. Boriachuk won an aerial challenge for the ball and fed Adamenko, with Mykyta shifting sidewards and delivering the ball into the penalty area, where the same Andrii Boriachuk headed the third one home, scoring a brace. In the closing minute, Poltava took advantage of the visitors’ defensive error and Sharylo netted a consolation goal. 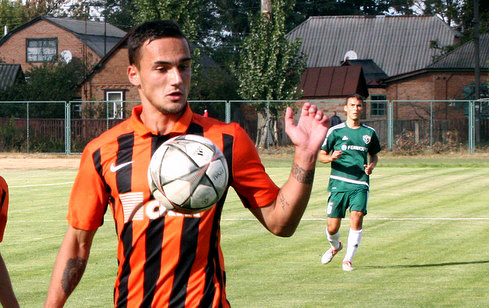 3-1 - Shakhtar beat Vorskla away, getting ready for the next game in a great mood. On September 23, the Pitmen will entertain Volyn Lutsk in Shchaslyve. - Today we had a very good match, perhaps the best since the beginning of the season. After our failure against Dynamo, it was important to win and regain the winning attitude. In the first half, the opponents defended extensively and only after conceding two goals, they played as we had expected them to: they played physical football, through long deliveries and crosses. We were ready for that, and our defenders coped with that. We did not give them any advantage at set play, willing the challenges. The only thing that upset us was a small mistake in the last minute, after which they scored against us. But it is good that it did not affect the outcome. Shakhtar deserved to win, and I congratulate the entire team on that. 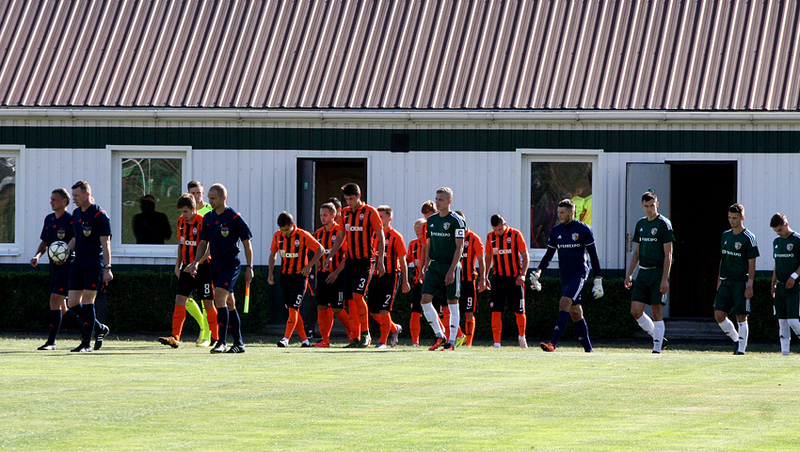 - Today was my debut in Shakhtar shirt. Of course, I was a little worried at first, playing the opening 10-15 minutes nervously. But when the team gained a clear advantage and took the lead, I started operating more confidently and reliably. Thanks to the lads, as they supported me and helped me. I found a common language with the teammates quickly, even in my first training sessions. I’ve known everyone for a long time as we had played against each other and met on international duty. So the mutual understanding was reached immediately. As for the match, the coaches had prepared us well for the encounter with Vorskla, they explained to us that the opponents would play defensively, imposing their game. We coped with their pressure in the opening minutes and then scored, and started bossing it. In the second half, Poltava launched an attacking move, mostly playing long balls to the strikers. We were ready for that and allowed them to create next to nothing near our goal. So we absolutely deserved to win it. And I am delighted that I’ve started my spell at Shakhtar with a win.